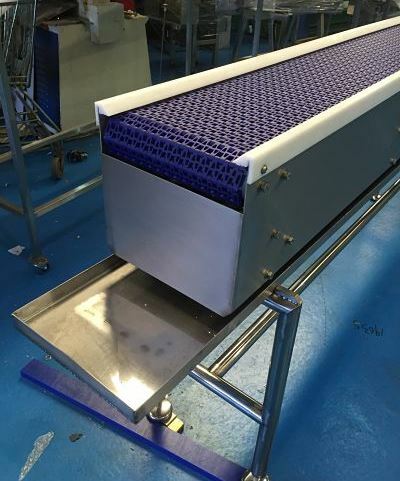 We like to make thing easy for our customers so we offer various ways to help keep your conveyors clean including internal water spray systems quick release belts all designed with hygiene in mind. New for 2015 Removable Drip Trays with a Canter Lever Leg on the left for easily cleaning. Image on the left is a fixed tray with normal legs.